Carbon neutrality at Middlebury College! All MSoE alumni are aware that Middlebury College set for itself a goal of becoming carbon neutral by the end of 2016. The campus sustainability and renewable energy tours we include in the curriculum emphasize the initiatives that we launched in pursuit of that goal. And you are all probably aware that we officially reached that goal with the certification of the carbon sequestration on our land that is now guaranteed through the creation of a permanent conservation easement on Bread Loaf land in the Green Mountains. This is a big achievement, and there are so many narratives related to leadership and environmental engagement wrapped up in this overall story that it’s hard to know where to begin. First of all, the goal itself was the product of a student group who not only dreamed it up but conceived the college trustees to adopt the vision based on an equal mix of passion and a compelling plan for accomplishment. Never doubt that you — as individuals or as a small group — can bring about change. Each step along the way, described quite well in a recent article written by Nathaniel Wiener for our friends at Planet Forward, was its own massive undertaking, involving technology (the biomass plant), educational outreach (energy efficiency), creative ideation on energy diversification and resiliency (solar and biomethane energy infrastructure), and land conservation and law (carbon sequestration on permanently conserved forestland). Each is a story all on its own (which I hope to describe in the future), but taken together indicates that large goals can be achieved through the combination of several smaller steps. Now that carbon neutrality has been achieved here, the obvious question is “What comes next?” Carbon negativity? Local food systems engagement? Fossil fuel divestment? Zero fossil fuel use? The possibilities are great. And for any one of them, we know from experience that there is a path forward to success. 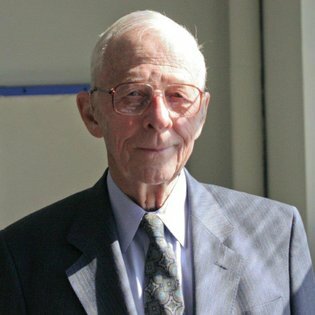 Jay W. Forrester passed away on November 16th at the age of 98. Few of the readers of The Stream probably have heard of Professor Forrester directly, but all of you who have followed the curriculum that is promoted by the Middlebury School of the Environment will know of his work and influence. Professor Forrester, an electrical engineer who had insights and interests in both computer science and organizational management, provided the initial intellectual groundwork for the field of system dyna mics modeling, the basis for systems thinking. Consider the power embedded in this simple idea for how we can protect and restore the environment. “Knowledge about the world around us,” not in terms of what we wish were true or choose to ignore, but what is actually true. The actual changes in carbon dioxide concentrations, heat retention capacity of CO2 molecules, health consequences of PCBs and lead, ecosystem consequences of phosphorus and nitrogen … and so on ad infinitum. “Show why our social and physical systems behave the way they do,” and thus revealing the true leverage points (to borrow a term from Donella Meadows) for bringing about lasting change and sustainability. We stand on the shoulders of those who came before us. And we also build a better world with the tools that others crafted. Our debt to Jay Forrester runs deep. His complete obituary can be read in the New York Times from November 17th. “As New York City’s coastline communities continue to rebuild four years after being decimated by the powerful storm surge of Hurricane Sandy, the biggest question that remains is: what have we learned? The answer, in short, is: not enough. Regardless of where one falls on the climate change acceptance/denial spectrum, the events of the Superstorm served as a wake-up call, especially to those who live on the city’s waterfront. Whether you were a wealthy, white business magnate living in lower Manhattan or a poor, black family living in a Red Hook housing project, you were made very aware that the city is not as resilient in the face of extreme weather events as we would like to think. We’ve begun to learn, and accept, that we’re vulnerable. Check out the rest of the essay to see the kind of thinking that emerges from the Middlebury School of the Environment! “On October 15th and 16th, I attended the North American Association for Environmental Education (NAAEE) conference to represent the School of the Environment! My professor from the School of the Environment, Curt, and I lead a workshop on systems thinking and environmental educational games to a group of over 30 people. In this workshop, I shared my experience with creating an educational game on sanitation in India throughout the course of four weeks in my Wicked Problems in Environmental Policy class this past summer. Creating a game for the first time was frightening at first, but I was able to collaborate with my classmates to create an entire game that the School of the Environment played during our last week of the program. I really enjoyed having a creative final assignment for the course because it pushed me to think in a unique way about the topic. I am extremely happy to introduce three of the faculty who will join the Middlebury School of the Environment this coming summer. Each will participate in the core courses, either in the introductory track or the intermediate/advanced track, and each will offer an elective in their area of specialization. I want to introduce each of them here briefly, and provide links to their full bios and course descriptions on the SoE web site. 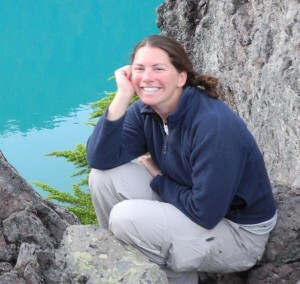 Dr. Holly Peterson joins the SoE as an Assistant Professor of Environmental Science. She is on the faculty of Guilford College in North Carolina in the Department of Geology and Environmental Studies. With a specialization in hydrogeology, she is particularly interested in water quality and encouraging people to view their lives and societies through the lens of the watershed in which they live. At the SoE this summer, she will teach an elective on Environmental Pollution (which will involve a mix of field, lab, and computer-based work) as well as team-teach the core course on Understanding Place, our interdisciplinary course the brings together the ecological and cultural narratives that are needed to understand the environmental present and potential futures of any place. 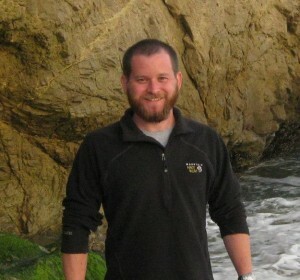 Dr. Joseph Witt will be the new Assistant Professor of Environmental Humanities. Joe comes to us from the faculty of the Department of Philosophy and Religion at Mississippi State University, where he offers a curriculum that focuses on religion and nature. His research includes the study of the place of religions in the Appalachian anti-mountaintop removal movement of the early 21st century. He will join Holly Peterson in teaching Understanding Place and will offer his own elective on Religion, Nature, and Justice. Dr. Curt Gervich, from the Center for Earth and Environmental Science at SUNY Plattsburgh, joins us as the new Assistant Professor in Environmental Social Science. At SUNY Plattsburgh, Curt teaches courses in environmental leadership, law and policy, and sustainability, and he is trained as an environmental planner, with expertise in decision-making and leadership. 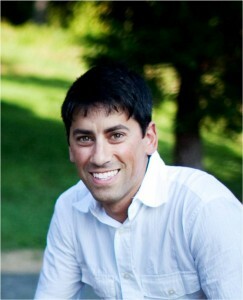 This summer, he will teach the Systems Thinking Practicum and an elective on Wicked Environmental Problems. We’re not done yet, however. We plan on adding one more person to the faculty whose specialization is in the realm of the environmental arts. Stay tuned for updates on this position!